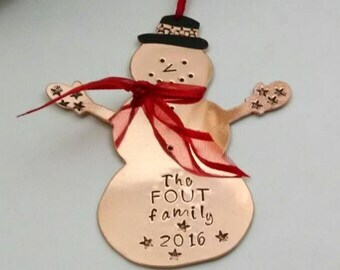 Give the thoughtful gift of remembrance this Christmas to someone who has lost a loved one with this darling, personalized copper Christmas Tree ornament. 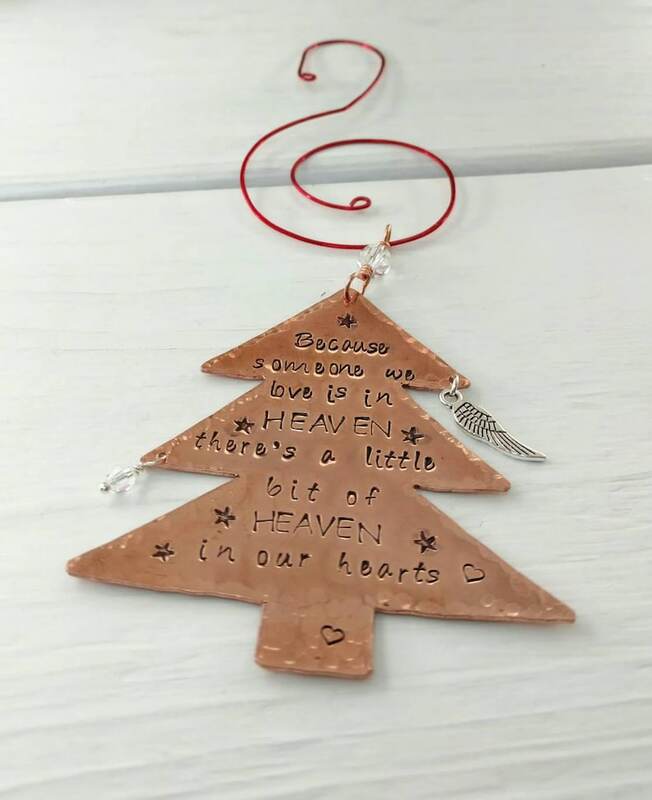 Hand stamped with the quote "Because someone I love is in heaven, there's a little bit of heaven in my heart.". I can also stamp "our hearts". Please choose your word choice from the drop-down menu when ordering. 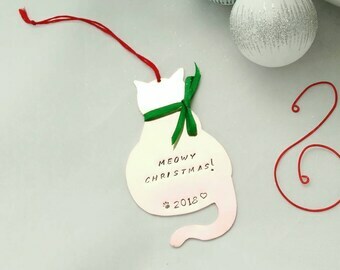 Each charm is hand cut from copper and shaped by me and hangs from a red or green ornament hook (each ornament includes this handmade hook for easy hanging on the Christmas tree). Comes ready to gift in a beccasblues' jewelry box! 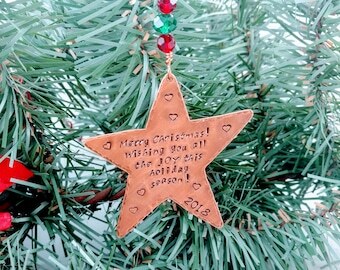 Tree ornaments are hand cut from 20 gauge copper, each charm will be slightly different and unique. Tree measures about 3 inches by 2.5 inches (75 x 65 mm). Please choose your birthstone from the drop-down menu. 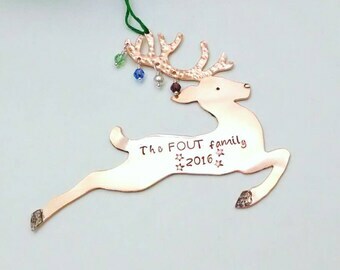 Please allow 5-7 days before shipping as each piece is hand made by me. Every piece is different and one of a kind. Hand stamping uses individual stamps which have to be lined up by hand and hit by a hammer to imprint the letter into the metal. The letters will not line up perfectly every time. Every piece is different and one of a kind. 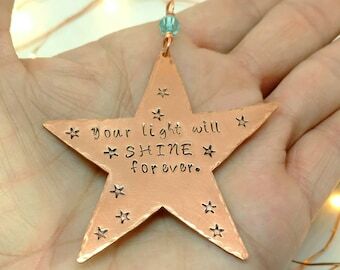 This is the beauty of hand stamping. The impressions of the letters will be visible on the back side of the piece so only one side can be stamped. Brides...please contact me for a custom listing if you would like to purchase 4 or more necklaces. I offer bridal discounts for orders totaling 4 or more.